Want to Know More About Chiropractic ? As Davenport-Quad Cities chiropractors, we take pride in offering the most complete chiropractic resource in our area. In fact, our willingness to volunteer information and explain every chiropractic procedure in advance, is often mentioned by our delighted patients. I want to help people get well, not just pain free. This is done by simply caring. True wellness is not just about pain (symptoms). Its about having tools to get well and stay well. We’re looking to help Davenport-Quad Cities-area residents who value their health and want a chiropractor who offers peace of mind. Ready to get started? Call our Davenport chiropractic office today to schedule an appointment. 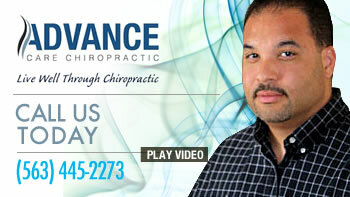 Chiropractic wellness for the Davenport and Quad Cities communities.